Celebrate Mother’s day in a stunning woodland garden. 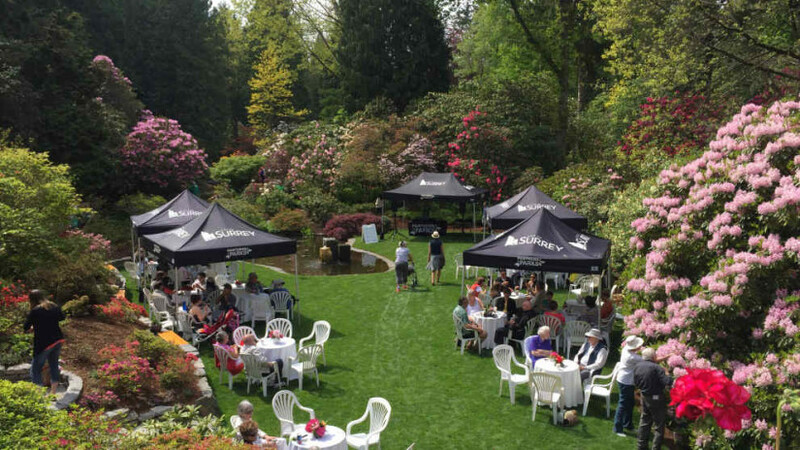 Enjoy live music from the West Coast Strings among masses of rhododendrons in full bloom. Gourmet coffees, teas and hot chocolate available for purchase, as well as a spring plant sale. Cash sales only. $7 at the gate (cash only) and children under 12 are free. Please note: A new parking lot will be accessible south of the garden. This will happen rain or shine. See the event info link above for more.